So yesterday I mentioned we had collected some acorn caps when we walked back to our car after checking out the swans. 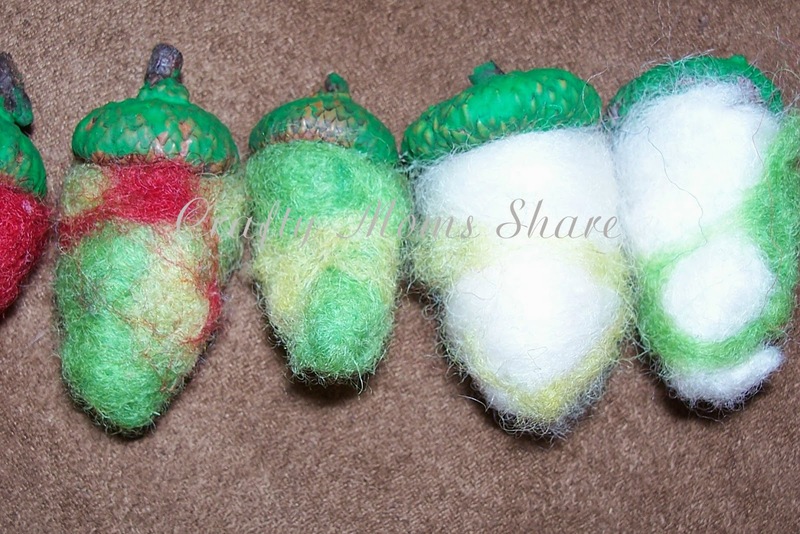 After letting them sit for a few days to make sure there were no bugs in them, we wanted to needle felt some acorns. Our plan was to bring them to school as part of Teacher Appreciation Week. I tried to choose wool roving colors for different seasons and one of them was red. Hazel commented on how the red one looked like a strawberry. We decided to make strawberries. 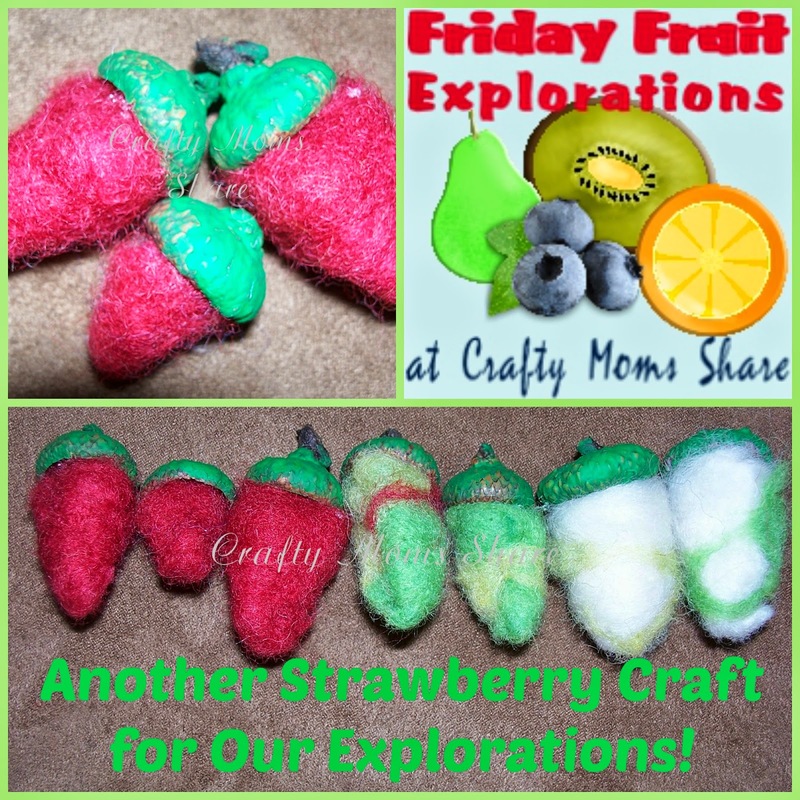 Since we have already shared our Strawberry Exploration, we will just share the craft today. We painted the caps green first. While the paint dried we began needle felting. We took some red roving and rolled into a strawberry shape. Then we needled it as much as possible. I have some safety needle felting tools for Hazel to use, but she did catch her finger once. I always had to finish them since she was afraid of holding them and needling. We also decided to make some unripe ones so we could show the progression of strawberries. 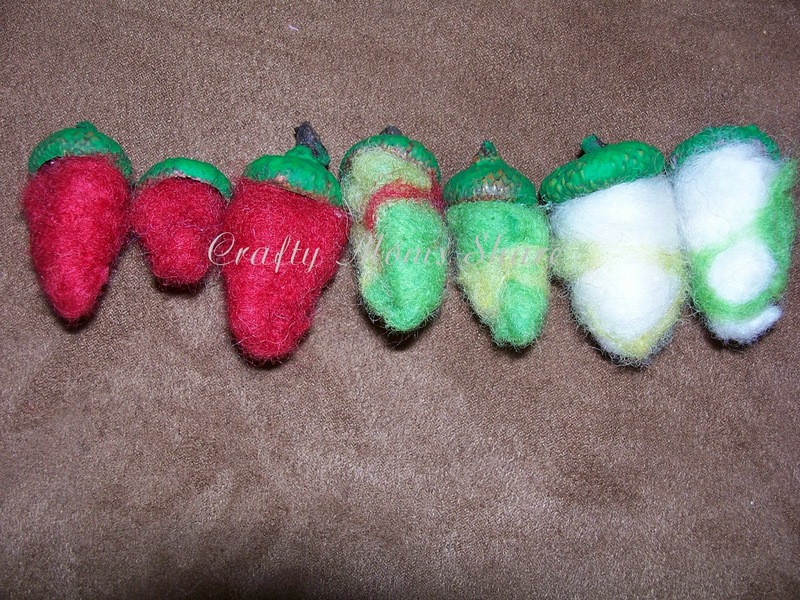 For these we mixed some colors to make them look like they were ripening. Once the shapes were solid enough, we glued them into the caps. Then let them dry overnight. 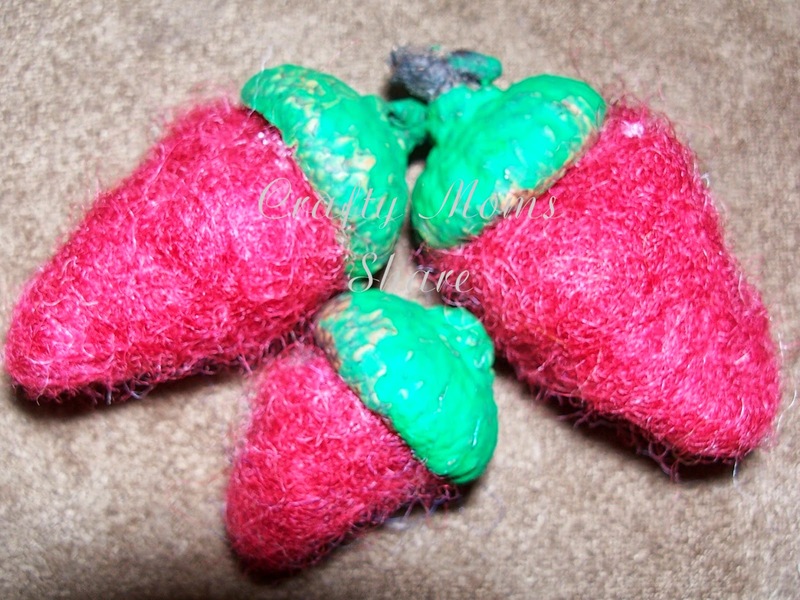 Now we have some lovely needle felted acorn top strawberries. Hazel decided she wanted to keep all the strawberries and acorns we made for herself and give them to the teachers, but she also wants to make more.